Even though Motorola is no longer a Google subsidiary, it’s still very much intertwined with the search giant’s products, and having been the first to announce a smartwatch running the Android Wear software, the company then organized a Hangout to run a Q&A on the exciting upcoming gadget. Since the last 24 hours have been particularly busy in the world of tech – thanks largely to Google’s announcement – there’s a good chance that you missed that Hangout, but if you wish to catch up, you can watch it all on YouTube. 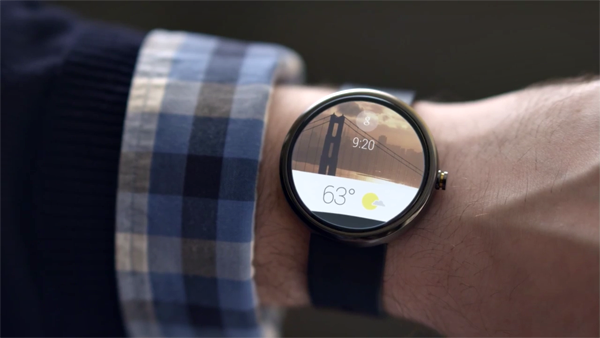 The clip is entitled ‘Meet Moto 360,’ and gives a better insight into the device that everybody’s raving about. Following Google’s unveiling of Android Wear, which also saw the Developer Preview of the software’s SDK release to developers, both Motorola and LG gave us an insight into their respective efforts, but with its classic design and traditional wristwatch features, it’s the Moto 360 that has been grabbing all of the headlines. Android Wear is still very much a fledgling product, and even when it does release to the public on the first batch of devices, will still require many months of development before it can reach the refined state of Android to which many of us are accustomed. Nevertheless, the battle for supremacy as far as hardware is concerned has already begun, and in offering the world a taster of the Moto 360, Motorola has well and truly thrown down the gauntlet to its rivals. Of course, before we allow ourselves to be too taken in by the Moto 360’s beauty and elegance, it’s worth pointing out that it, like the software it pushes, is far from the finished article. The device itself could still be subject to alterations before it reaches the business end of the market, and with no details on tech specs or pricing, it’s a mere prototype. Still, if you’re interested in finding out more, then check out the Hangout clip below, which is 25 minutes in length. It will likely answer many of the burning questions you have about the device, and offers a greater insight as to what we can expect from it when it does eventually become available.